We hope that you have some nice plans for this bank holiday weekend, but before you go, we’d like to draw your attention to the importance of “switching-off” and also to update you on some carbon reduction projects being undertaken in UCD this summer. Low energy LED lighting upgrade projects are underway in the Health Science, Engineering and Materials Science buildings and in a number of buildings in the Blackrock Campus. Work will also commence shortly in the Conway Institute and James Joyce Library to upgrade the existing lighting to LED. These upgrades will significantly reduce the amount of electricity being used for lighting across the University and it is planned to gradually replace all lighting on campus with this new energy efficient technology. We are also investigating the possibility of installing additional solar photovoltaic panels in UCD. These panels produce electricity by using sunlight and are forming an increasingly important part of our carbon reduction strategy. The installation of more efficient equipment and renewable energy generation certainly plays an important role in carbon reduction efforts, however the positive impact that users of facilities and equipment can have should not be underestimated. 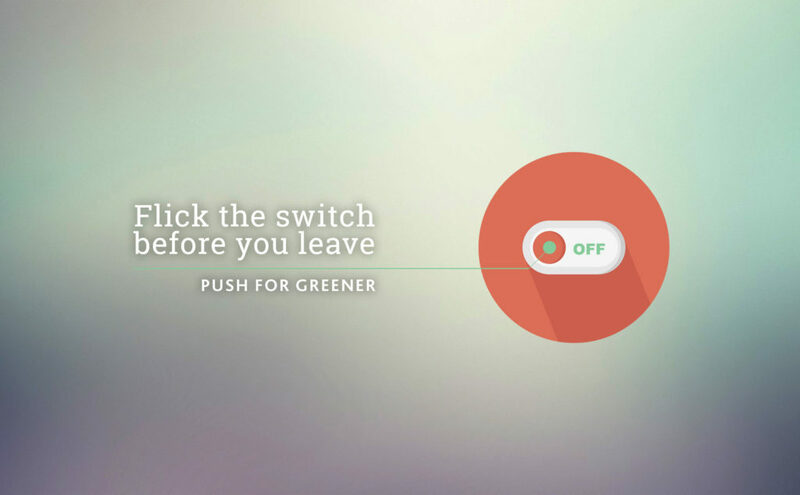 The success of the “Switch-Off” campaign in UCD has proven that a concerted effort on Fridays before a bank holiday can have a very positive impact and significantly reduce energy wastage. So before you begin your weekend, please remember to switch-off all non-essential computers, laptops, printers, monitors and research equipment such as fume-cupboards and drying ovens, and to switch-off at the socket where possible in order to avoid “vampire power” consumption when equipment is left on standby.